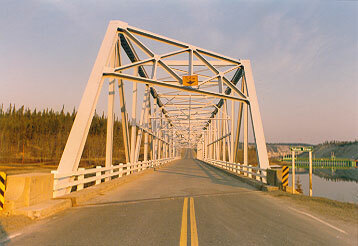 Near Whitehorse, the Yukon River starts just south of this location and flows 3185 km (1979 mi.) to the Bering Sea. Many tourists start canoe trips from this location, taking them through Whitehorse, Lake Lebarge, Dawson City and north to Alaska.